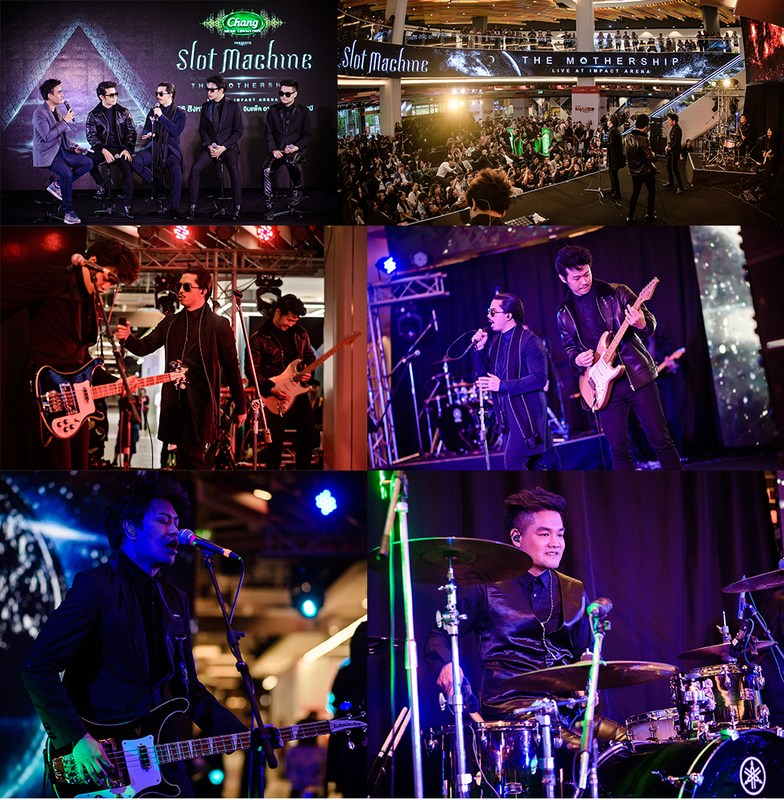 "Slot Machine prepare for out-of-this-world gig with “Chang Music Connection presents Slot Machine - The Mothership Live at Impact Arena” on 26 August 2017 "
Rocking the earth is not enough for Thailand’s top rock band Slot Machine. 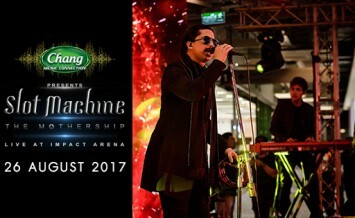 The band is getting ready to take fans on a new journey into their universe with a large-scale concert, Chang Music Connection presents Slot Machine - The Mothership Live at Impact Arena on Saturday 26 August 2017 at Impact Arena, Muang Thong Thani. Tickets go on sale on Saturday 20 May at 10.00am. The band members: vocalist Karinyawat “Foet” Durongjirakan, bassist Atirath “Gak” Pintong, drummer Settharat “Auto” Phangchunan, and guitarist Janevit “Vit” Chanpanyawong, are ready to take all their international concert experience and apply it into what will be the ultimate live rock performance for their Thai fans. Don’t miss Slot Machine’s biggest-ever concert - Chang Music Connection presents Slot Machine - The Mothership Live at Impact Arena on Saturday 26 August 2017 at Impact Arena, Muang Thong Thani. Ticket prices start at Bt800 and will be available from 10am on 20 May at all ThaiTicketMajor outlets or at www.thaiticketmajor.com. For more information, please call 0-2262-3838. For further updates, please visit www.bectero.com, Facebook: www.facebook.com/bectero, Twitter: @BEC_Tero_Ent, and Instagram: BECTERO_ENTERTAINMENT. Slot Machine’s story is one about Thai artists who were determined to succeed and for 10 years, they have been fighting against all kinds of obstacles in order to achieve their goals. Music is their main job. With ten awards from national stages and two awards from Asian stages, it’s no accident that Slot Machine became one of the most talked-about rock bands in Asia. The band also put Thailand on the rock map by being nominated as Thailand’s representative for MTV Europe Music Awards (MTV EMA) for three consecutive years from 2013 - 2015. 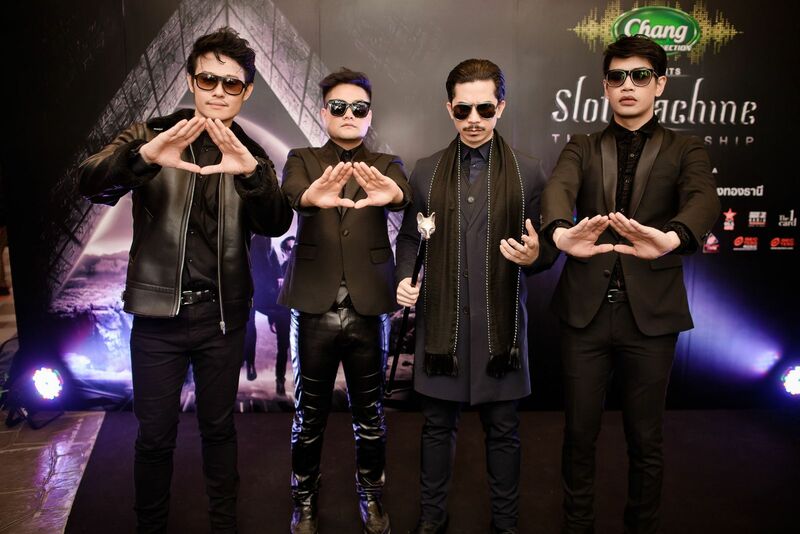 They have launched six albums with many chart-topping hits such as Ror, Pharn, Kam Soot Tai, Fun, Rue Do, Chan Chao, Phra Arthit Song Klod, Roong, Kloem, Yang Muan Doem, Mai Mee Kwam Rak, and more. They are now thriving to create more quality music and recently launched an English album called Spin The World, aiming to take their music to the international stage. With six-time Grammy Awards-winning producer Steve Lillywhite who used to work with many well-known artists such as U2, The Rolling Stones, The Killers, 30 Seconds to Mars, and more, Slot Machine is not just another Thai rock band but an international artist by right. 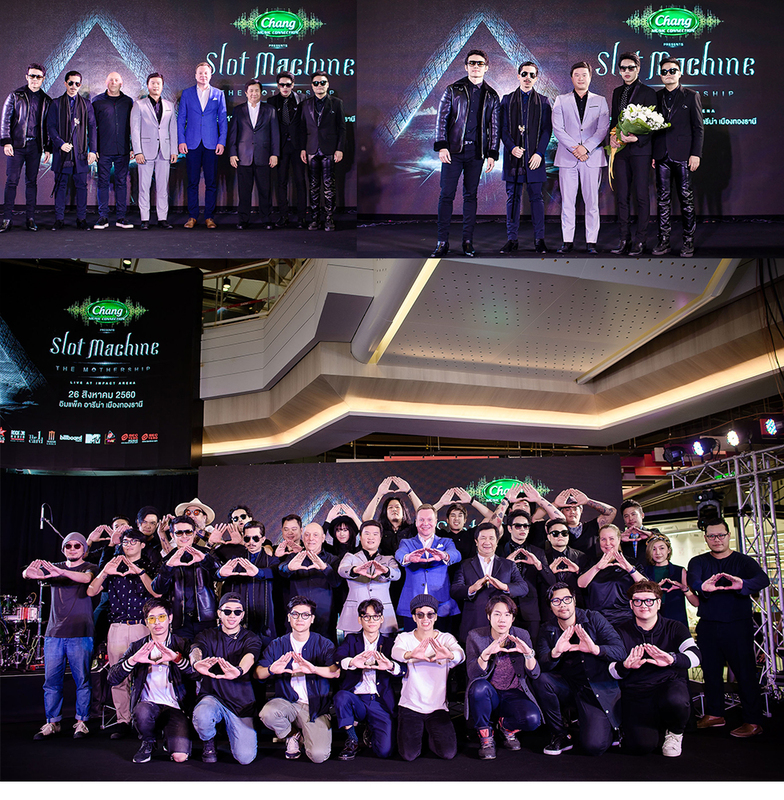 In 2014, Slot Machine was highly successful with The First Contact concert, their first big concert celebrating 10 years in the music industry. The concert was packed with over ten thousand fans in the audience. It received overwhelming feedback from fans and the media for the band’s energetic live performance and the spectacular production that is on a par with international concerts.